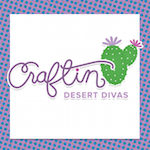 Craftin Desert Divas Blog: You're So Cool! This is Deepti from Vishesh Collections. 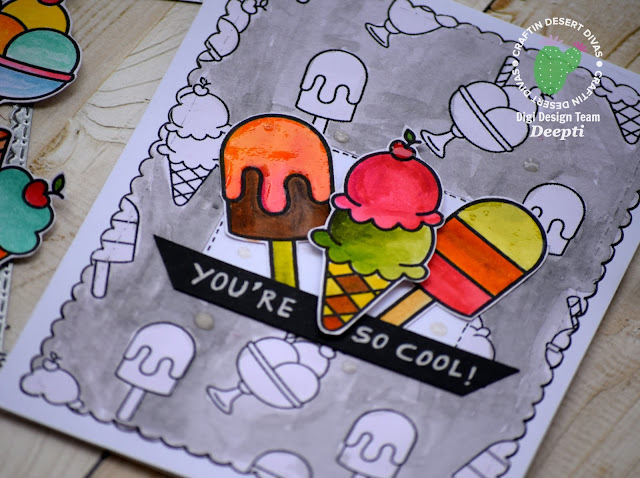 I am so excited to be on Craftin Desert Diva's blog today and sharing this summer card which I have made using "Cool Treats" digital stamp set. I got inspired with current mood board challenge over CDD Gallery. Here is the mood board which inspired me... 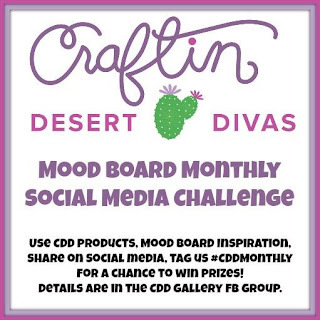 Isn't this mood board is yummy..;).. You can join us at CDD Gallery on facebook to participate in this fun challenge with lots of prizes. Once satisfied, I got it printed on A4 sheet and die cut out it using Fancy Frame Dies. Then colored the whole thing with grey colour and left the images as it is..After that I adhered it to my A2 card stock..Arranged all the colored images as shown and added my hand written sentiment. 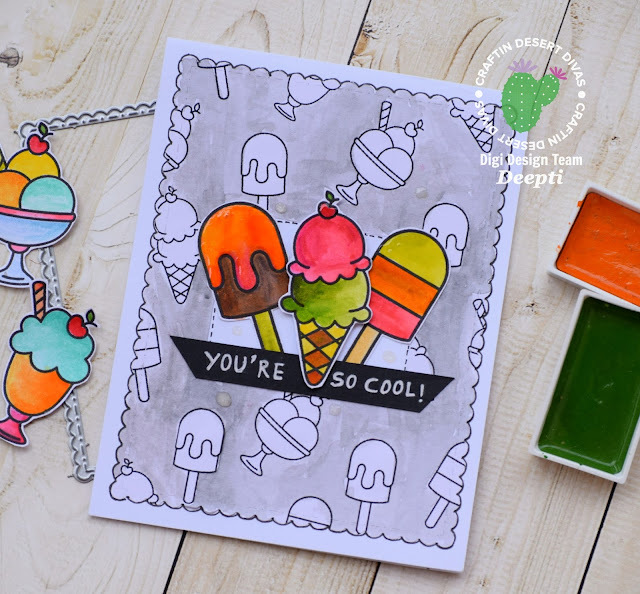 And for the final touch up, I've added Glossy Accent to my lollies, which I hope you can see in the above image...This looks so yummy!!! 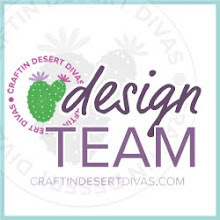 I hope you got inspired and join us at CDD gallery for some fun.. Cute!! Love how did the background!